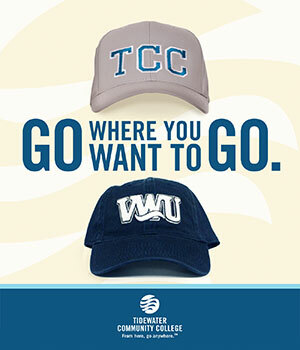 Virginia Wesleyan University and Tidewater Community College have been good neighbors serving Coastal Virginia and Virginia Beach for many years. In recognition of the relationship, Virginia Wesleyan has established a scholarship program intended to celebrate academic success and shared hometown values. Virginia Beach College Success Scholarship recipients will receive a scholarship valued at $10,000 per academic year. Upon satisfactory academic performance at Virginia Wesleyan during the first year of study, the award will be renewed for a second year.